The CG50LP is CISSOID’s 2nd generation clock generator IC. It combines the unrivalled robustness of its predecessor device CG50, while bringing additional features, lower pin count and ~40% current consumption reduction (compared to CG50). The CG50LP is a high-temperature crystal clock Generator integrated circuit that features a built-in frequency divider selectable from 1 to 512, an enable/disable control signal and an external clock input. 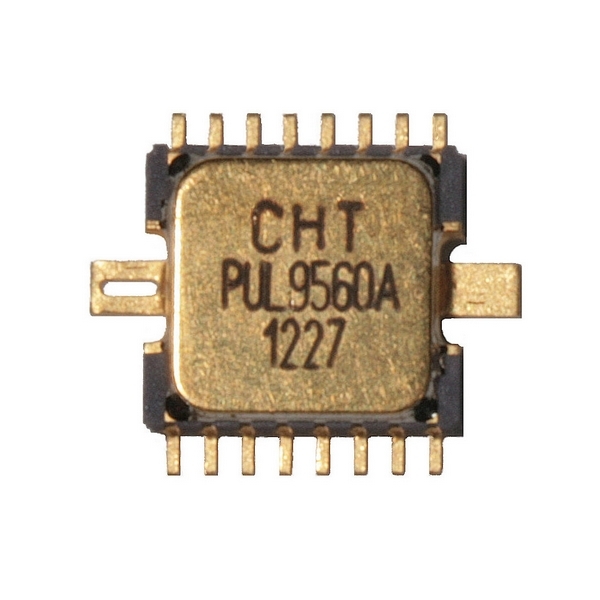 Its output driver capability is programmable (8/16mA) as well as the crystal driver strength. Using an external crystal, it brings reliable precision performance throughout the -55 to +225°C temperature range, as well as unrivalled lifetime at any temperature within this range. Clock buffer & clock generation in downhole tools, aerospace, defense and HiRel applications.